Transparent PPC Management & Paid Search Marketing designed to drive your cost per conversion down. We create responsive websites that are interactive and will convert your viewers into leads and sales. We use Google recommended SEO services to help rank your website up to the 1st page. We help your company gain the credibility it deserves by actively growing your online business reputation on Google. Professionally Managed Paid Search Marketing designed to drive your cost per conversion down. We create and develop websites that are interactive and are tailored to provide your customer with a great experience. We use search engine optimization methods that ensure your customers find your efficiently online. Actively grow your company’s reputation around the web with the latest tools available. out the service provider’s online presence. 3 out of 4 smartphone consumers looking for a new service or product chose a different brand they originally thought of purchasing from because they got useful, relevant information at the time when they intended to buy. It is extremely important for businesses to show up for consumers when their intent is to buy the product/service or connect with the business. It’s no secret that 90% of the clicks on Google happen in the top 4 spots above the fold. Guess what those are! Ads. Business owners should always aim to be in the top 4 spots at the time when relevant searches happen. Pay-per-click is an Internet advertising model we used to direct more traffic to your website. PPC sets prices for online advertisements on a search engine or on a website, by which the advertiser pays a small fee to the website publisher each time a user clicks on the advertisement. 1. Measurable results. There is no more guessing, we can track exactly how many leads or sales come from the ads, therefore we can get a very accurate ROI and ROAS. 2. Advertise at the right time. The ads show when relevant searches happen. The ads connect the service provider with the person who needs the service when they are looking for it. And it works like magic! 3. Flexible budget. Great for seasonal businesses or targeting different markets. We always suggest a sufficient budget in order to get more leads/sales. 4. Data-driven. 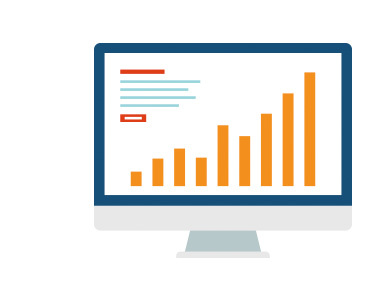 We analyze how your campaign is doing and adjust it frequently based on what the numbers tell us. Again, we take the guessing out and rely on what data tells us. 5. Unique targeting. We have the ability to target geographically, age groups, based on interest and website behavior. We focus on designing and creating websites that are functional and customer interactive. A website’s ability to interact provides customers with accessible information, which is vital on the web. As, the majority of people and companies are on the Internet to find information; this makes it the most used resource around. If you’re in the business world, information is critical. People will leave your website if it is difficult to use or if they cannot find what they are looking for quickly. Therefore, we create websites that are not just visually appealing with effective messaging, but very interactive to help your customers understand why they should choose your products and services. With over 66% of people using their mobile phones to browse the internet. The importance of a responsive website is growing rapidly. 33% of people will abandon a site if the display is not optimized for a mobile device and the user experience is key to helping improve your credibility, boost your conversion rates and increase customer retention. We call responsive websites an investment for the future. It is not just an essential resource for today, but for tomorrow too. Mobile use is only set to increase, and customers are expecting more and more from the brands and companies they interact with online. Crafting a competition-crushing landing page is not an easy task. Keep in mind, there is a dozen of different components with a whole science of psychology lurking beneath the surface. For example, “what the customers wants” or “who do you want to attract to your website?”. For years Factor One has been developing strong converting landing pages as an amazing alternative to re-designing websites. These landing pages are complimented by strong Search Engine Marketing such as Google Adwords and can also help convert organic traffic and improve your rankings. Website design encompasses many different skills and disciplines in the production and maintenance of websites. The different areas of web design include web graphic design; interface design; authoring, including standardised code and proprietary software; user experience design; and search engine optimization. Search engine optimization is something every website should probably be doing. Humans see websites differently than the search engines, that is why we need to optimize websites. Our team at Factor One focuses on real results and only ever uses white hat tactics. Our main focus is on-site optimization and cleaning up the business name, phone number, address on the most important directories. We also offer services that help SEO such as keyword research, content writing and our in-house web developer ensures websites are seamless and load fast as lightning. Reporting is an extremely important part of measuring the success of marketing investments. We create informative dashboards for our clients and email them every month, so clients have a great idea of what is working and what needs improvement. Our SEO experts also advise on best practices in the monthly meetings to help clients streamline the online marketing efforts. Expected results: SEO is a long-term investment to your site, however, results are quite tangible. 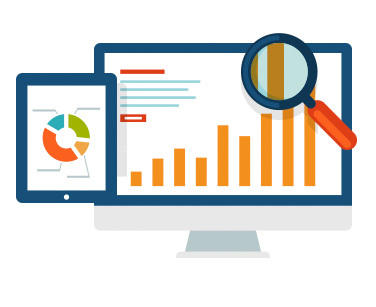 Our goal is to have your search console, Google Analytics, Google My Business listing, directory listings and the website optimized, so your site shows up higher in search results. Please ask us about our SEO packages and process! Our data-driven marketers would go crazy without having proper reporting set up for our clients. We track everything we can, phone calls to emails, leads and online sales, from every marketing effort our clients invest into, even if those are not through us. Our most successful retail clients find it very helpful to know their in-house social media management and email marketing efforts are included in the monthly reporting they get from us. Some of our clients need more than a monthly discussion, so we also offer dynamic dashboards. Clients can log into their unique portal to access important data on the go. These are customizable, live dashboards that are focused on the data the client wants to see. Reporting is included in all the services we offer, and so are the monthly meetings. Client portals are included in some online marketing packages. Reviews on Google are becoming more and more important, as people shop around online. A local business with poor reviews is less likely to be contacted, while great reviews reassure customers about the legitimacy of the business. Collecting reviews could be a hard process, so we partnered up with Podium to create an easy flow to ask for reviews. In the Podium review manager, our clients can send review requests to their customer’s phone or email. Review requests sent to a smart phone are 5 times more likely to be answered vs sent to email. Our clients can access those reviews, answer them, furthermore they can assign the review to the co-worker who received the glowing stars. Clients can have a mini in-house competition between their employees to see who gets the best reviews. Easy-peasy review requests and eager employees equal to high rating on Google, which leads to more people contacting the business. No brainer, right? Let’s start talking about how we can help! We want to help you to succeed digitally.